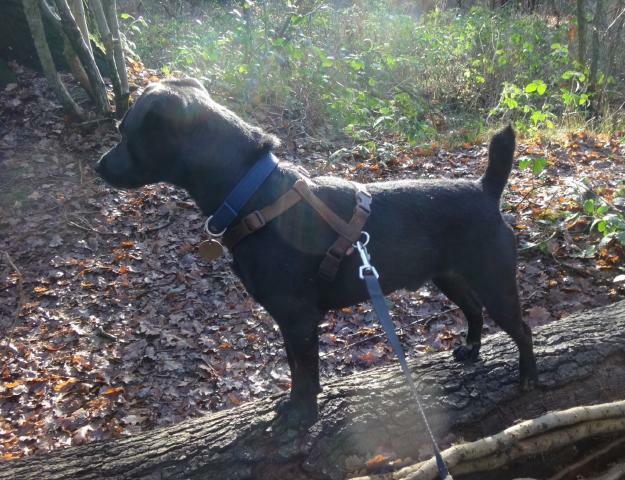 Homing Requirements: To own a Patterdale is to ensure their safety at all times so we never advocate them off an extender lead as they have no road sense and can easily become distracted and stray. 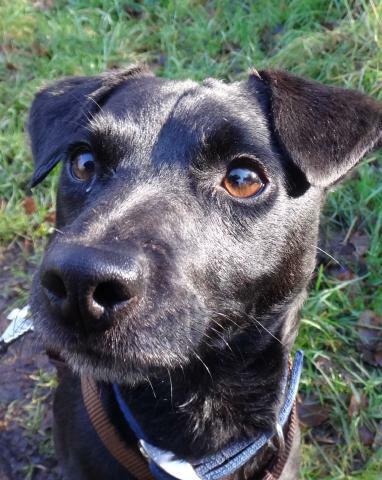 Brock will need a secure terrier proof garden and to be an inclusive member of his family. Proven around young children with adult supervision. Mixes with most dogs outside but can get apprehensive. His Story: Brock was found stray and the pound was aware his owner knew he had been found but never reclaimed him. Brock is now neutered, chipped and vax'd. Currently in kennels near Godstone, Surrey. Advert: Brock is a wonderful example of his breed. Brock has very good people skills and is house trained. Very calm in the home, welcoming to visitors and he mixes with visiting young children. He gets excited around other dogs though he may settle with another giving license to settle down his nerves. He isn't possessive of food and loves to be on his owners laps. He settles when left but would so like access to the furniture! 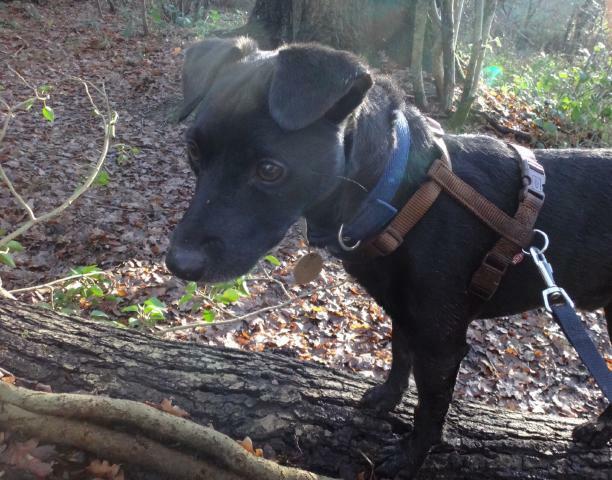 Brock is a Patterdale (Black Fell Terrier) with natural working instincts of chase and prey. He is a smooth coated Pattie with a docked tail. Alert and focused on his walks he uses the full extent of the extender lead. He meets most dogs with a little excitement which is a prelude to play. Perfect Pattie in terrier admiring hands. 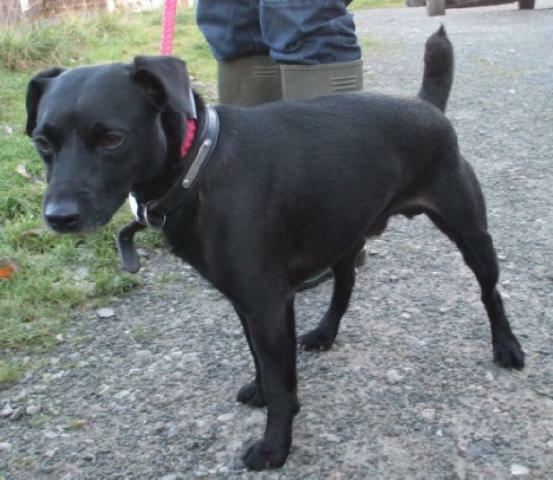 Brock has arrived after his long journey from 'The Lakelands' Welcome Brock hope we find your forever home soon!